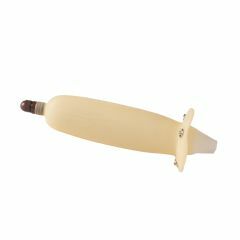 AllegroMedical.com presents The DMI® Replacement Sheath for Maguire Style Urinal, Tan, One. This is an additional or replacement rubber sheath for the DMI Men's Urinal (541-7752-0000, sold separately). To clean, just wash with soap and water and dry with a cloth. The sheath may be aired by placing it outdoors, but be sure not expose it to heat or direct sunlight, both of which tend to cause the rubber to become dry and hard and lose its elasticity. Do not place in clothes dryer. For best results, two sheaths should be used so that one may be worn while the other is cleaned and allowed to dry thoroughly.